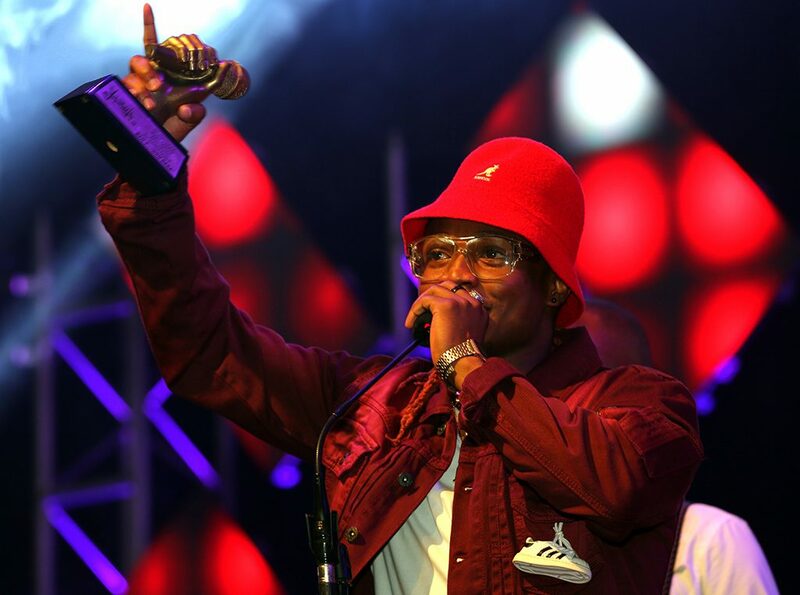 GABORONE, BOTSWANA – Despite all the storms that dogged arguably one of Botswana’s biggest lifestyle and music affairs, Yarona FM Music Awards aptly hashtag-ged #YAMAs, the event went ahead as planned even though it left the organizers and fans nursing a few bruises, which may take time to heal. The hottest, loudest and most rocking urban youth radio station, Yarona FM 106. 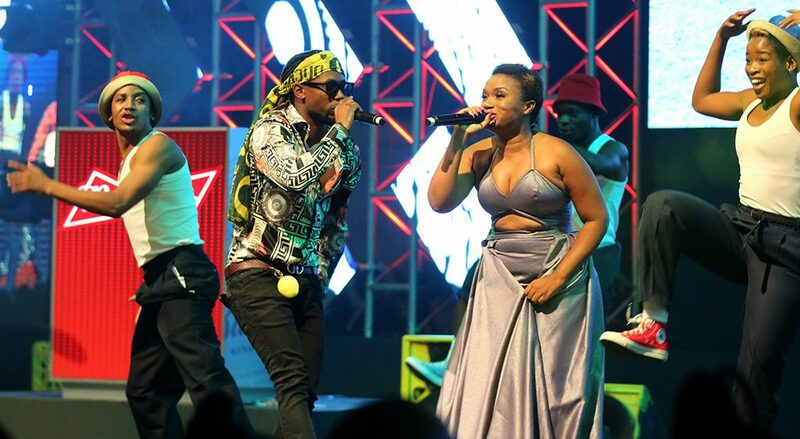 6 hosted the 5th edition of the Yarona FM Music Awards (YAMAs), this past Saturday at the Gaborone International Convention Centre (GICC). 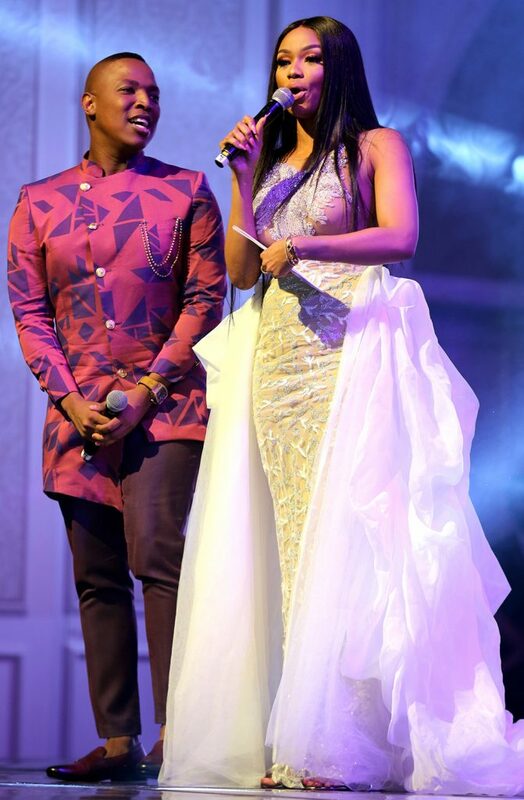 Fittingly tagged #Retro5, the fifth edition was meant to be a royal affair hosted by Botswana and Yarona FM’s Blue-eyed boy, Loungo Andre Pitse alias King B, alongside South Africa’s television personality, radio host, businesswoman and philanthropist, Bonang Matheba popularly known as Queen B. 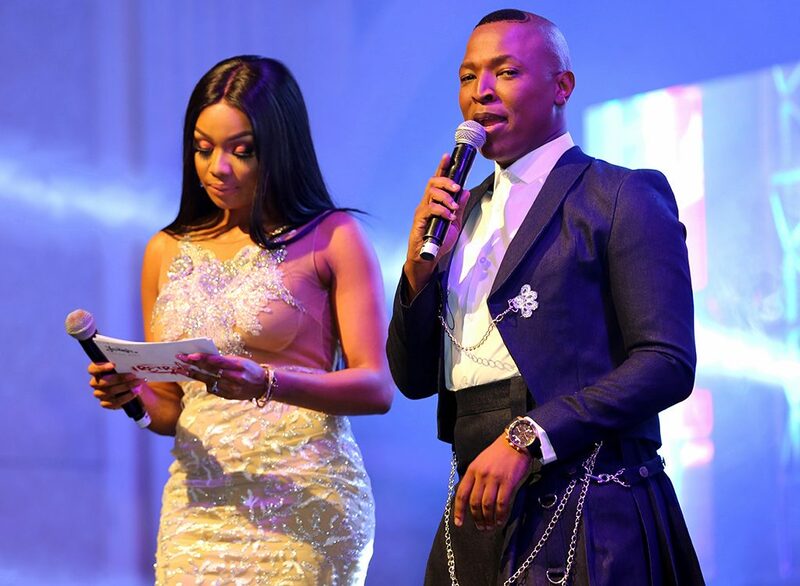 Despite all the trumpet blast leading to Gaborone’s biggest night of glitz and glamour, things didn’t turn out as planned. The event would have been a beautiful affair (what we saw of it), but the final outcome was a tad bit disappointing. And yes, Batswana have truly come of age in matters of fashion. One could truly see that a lot of effort was put into every outfit worn on the night! 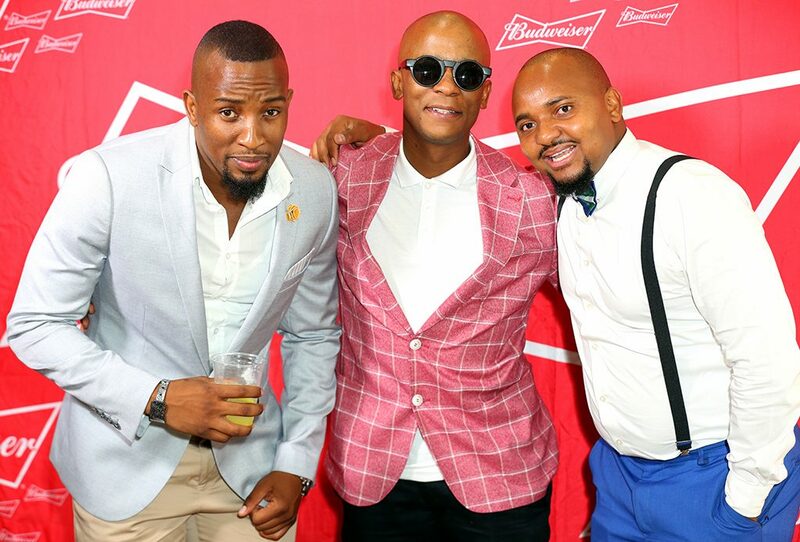 Only a few people respected the #YAMAs #Retro5 theme, as they looked immaculate dressed in their Sunday best. 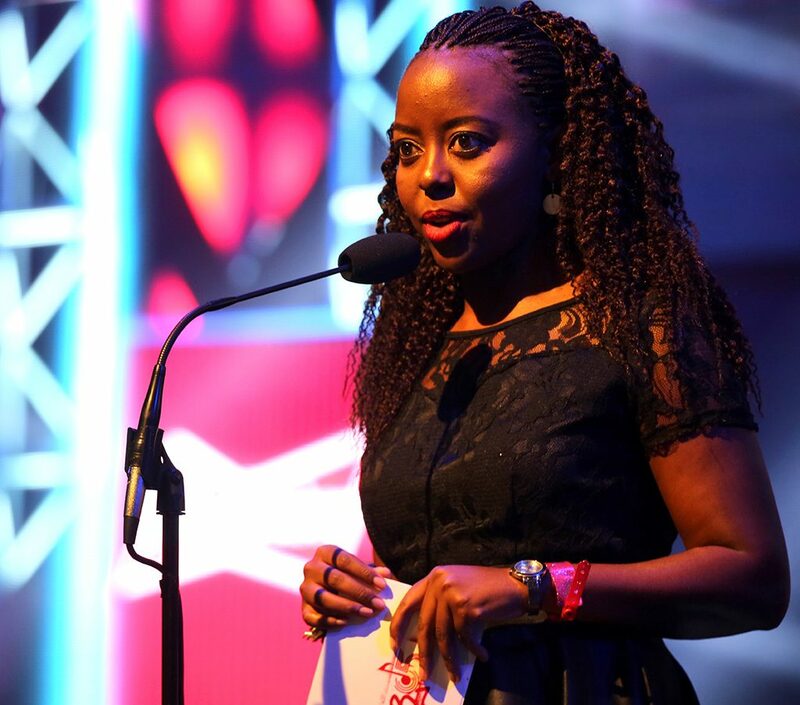 #BotswanaUnplugged attended the awards to give a blow-by-blow account of the biggest weekend of the year.For us, the jumping-off point will be Queen B’s alleged fee, as she allegedly cost the youth radio station over P100, 000 (around ZAR130,000) to MC the event alongside Loungo Pitse. 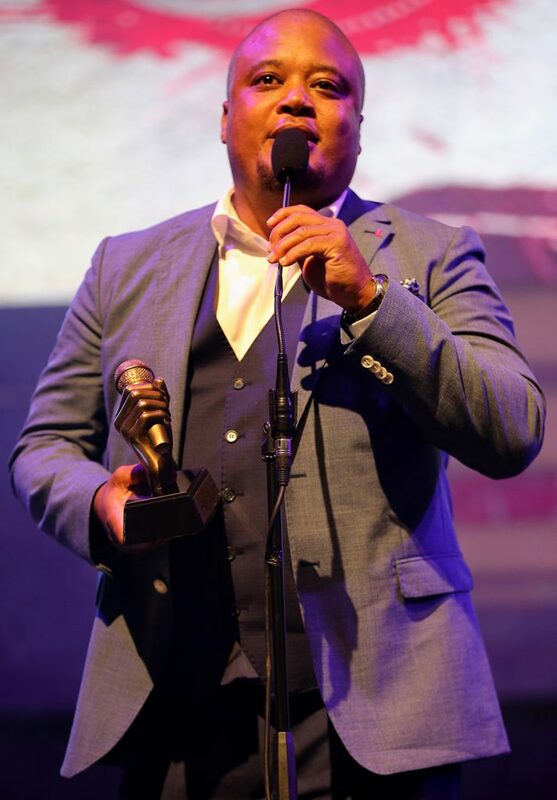 Several months before the awards, there was so much tumult on why the youth radio station had acquired the services of renowned South African media personality instead of hiring local talent who are equally talented and capable of handling the YAMAs stage. 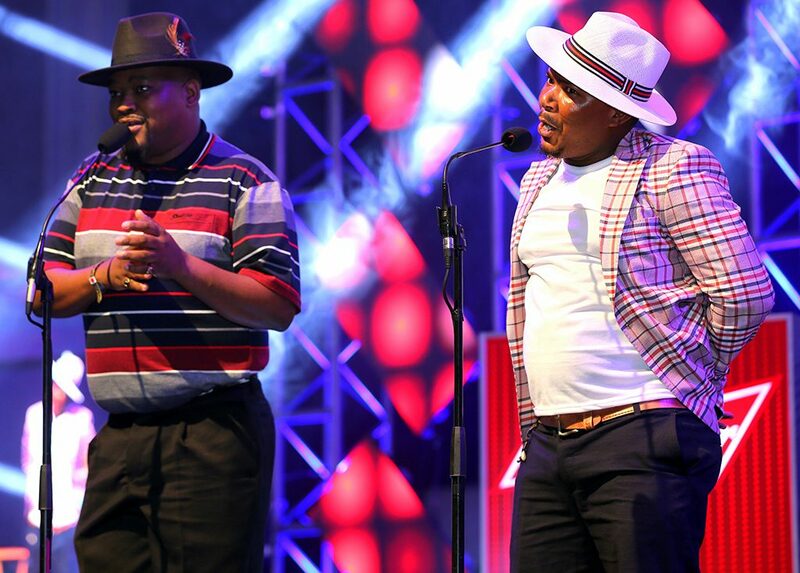 The bringing on board of Matheba sparked controversy and stirred up a hornet’s nest especially in social media which unfortunately led to the radio station’s popular morning show duo losing their jobs. 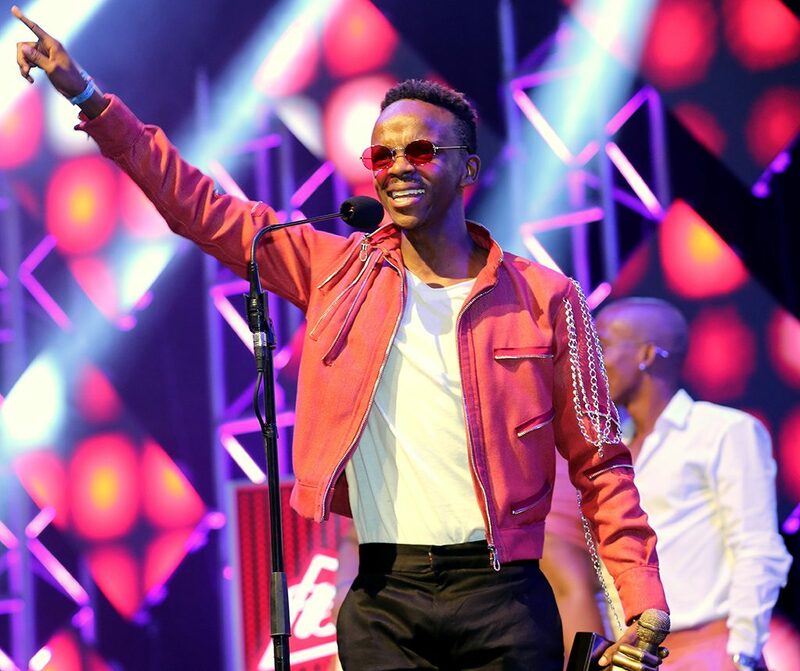 However, one can also argue that the radio station having successfully staged the YAMAs over the years and now celebrating its 5th edition equally needed to add a bit of oomph to elevate the awards’ standings and ratings internationally. Currently reigning supreme with over 2.4 million followers on her certified Instagram and 3.33 million on Twitter, Queen B’s resume can’t be matched with any MC locally albeit that won’t stop the naysayers from airing their views and displeasure. Her Twitter handle summarizes this with only a few words, she who reigns supreme”, with a pinned tweet that accentuates everything towards her antagonists, and “….they have to talk about you. Because when they talk about themselves, nobody listens.” She has taken to royal life like a duck to water. She eats, breathes and drinks royalty and would not drop a ball for a substandard standing. 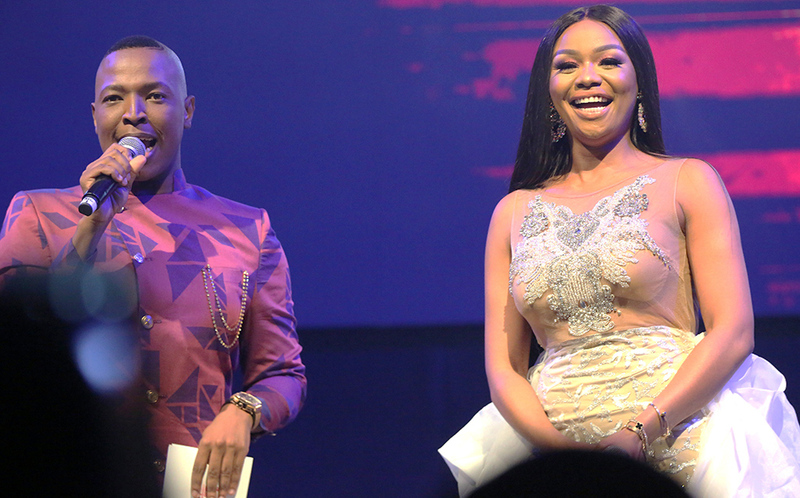 All the events which unfolded at the GICC this past Saturday indeed proved beyond reasonable doubt that Moghel truly calls the shots, in a typical, “Roll the red carpet, here comes Queen B” in true majestic royalty fashion. The YAMAs were scheduled to start from 6pm and end at 12 midnight. However, this was not to be as all those that had bought tickets endured four hours (4) of waiting, which threw everybody into incessant murmurs and uncomfortable pangs of disbelief. All the while there was no explanation on stage from the organizers on what could have caused the unexpected delay in the show starting on the scheduled clock. There was no sign of Queen B despite her having tweeted twice on the day about her Botswana trip, “Tonight, Botswana calls” and “Dora, The Explorer,” consecutively. 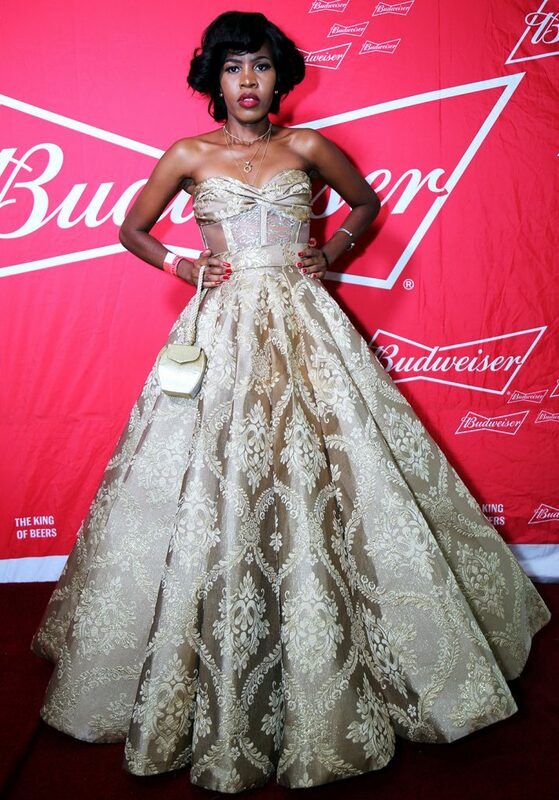 As people were milling around the GICC foyer awaiting Queen B’s arrival onto the unsuspecting YAMAs stage, rumours started flying around that Moghel had no outfit to wear as all her gowns for the awards had allegedly delayed in arriving in the country. Others peddled the rumour that her stylist was allegedly stuck in Kenya without a VISA. People were bored and agitated, to console themselves the rumours intensified. Others somehow felt that the ongoing case between the radio station and its axed employee, Robin Chivazve which was still pending at The Companies and Intellectual Property Authority (CIPA) was somewhat to blame for the vexing delay. Chivazve’s company, Ventura, has taken the radio station to task over the Yarona FM Music Awards (YAMA) brand name and logo. Often referred to as Return on Investment or simply ROI for short, the latter tries to directly measure the amount of return on a particular investment, relative to the investment’s cost. And if one looks at the alleged rumour that Queen B easily pocketed over P100k from Yarona FM to host the YAMAs one would then wonder if the radio station truly got its money’s worth. 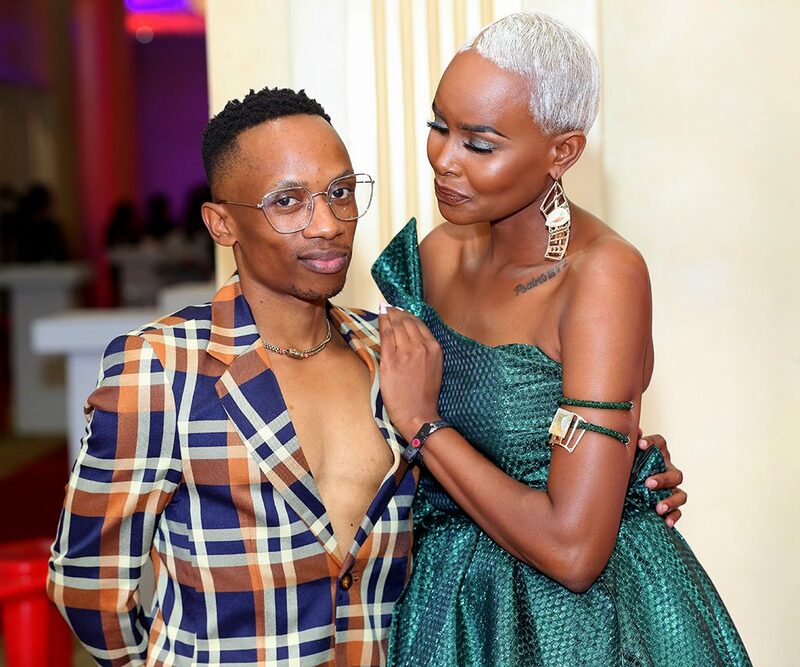 What we can attest is that now in their 5th year of hosting the awards, the affair was somehow getting monotonous especially with their primary and limited target market being the youth. Our people tend to argue that awards are just a bigger and haughty price giving ceremony, which one can decide not to attend but rather just follow events as they unfold on the various social media platforms in the comfort of their homes and smart devices, to see the winners and artists’ performances which are often streamed live. 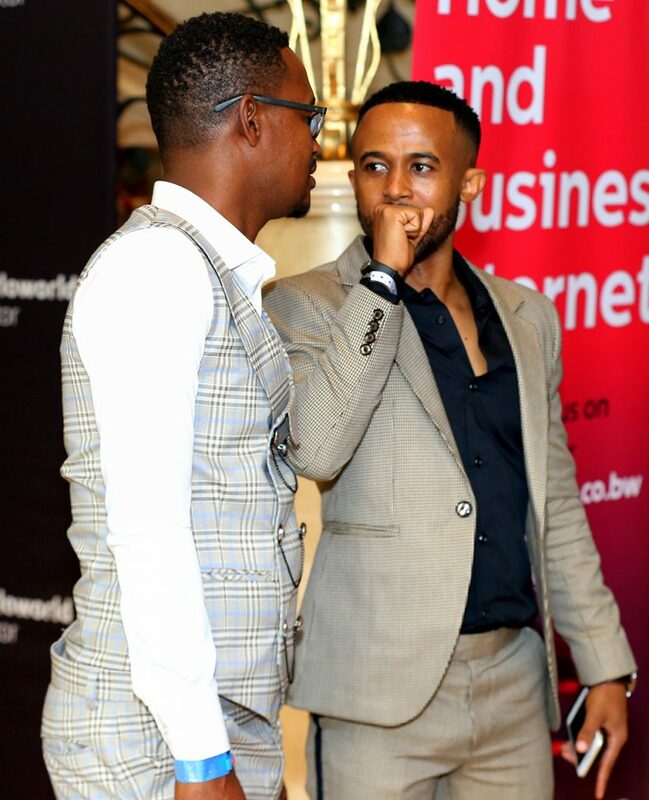 The entertainment scene in Botswana is dismally limited, and many times lack of sponsorship frustrates the industry, further sinking it into the deeper doldrums and a depressing lulling state. However, those characterized by affluence often argue that locally pitched proposals tend to lack the much needed verve hence when Yarona FM named Bonang as an ambassador for this year’s gig, it gave them the much needed bargaining power with organizations with deep pockets. 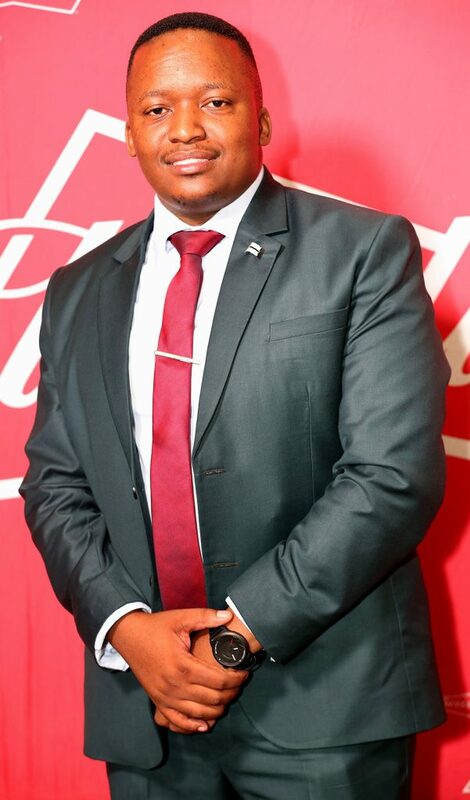 The 2018 YAMAs saw three of Botswana’s most powerful brands coming on board as vital sponsors being, First National Bank Botswana (FNBB), Budweiser and Mascom. The three brands played a pivotal role in the numerous build up activations until the successful hosting of the main event. This could probably remain the first ever sold out YAMAs since inception. The whole county came dressed to the nines! Given a chance, Batswana can truly give Hollywood a run for its money. Batswana ba a kgaba (loosely translated-our people truly eat, breathe and sleep cotton, in millennial speak or dress immaculately). 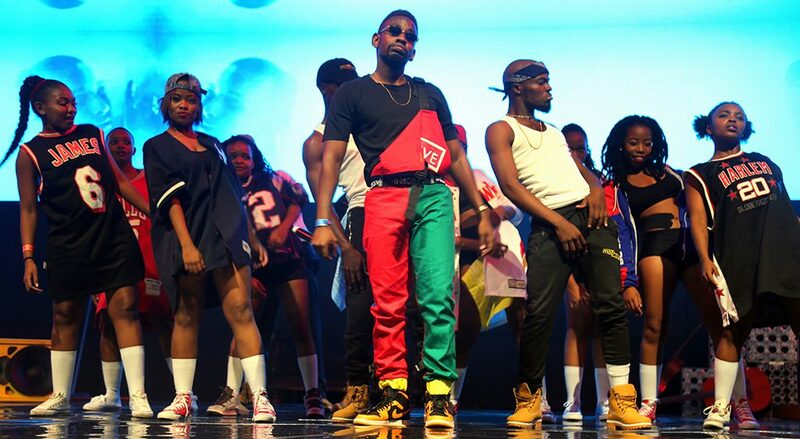 Although the YAMAs theme was Retro – imitative of a style or fashion from the recent past, well-thought out by the youth radio station to reflect on their journey and their coming-of- age, only a few people heeded the theme to the book. The rest went to town, consulted their fashionistas to put together rare and immaculate styles. Everybody looked prim and proper on the night, especially the ladies. Well done Woman Power! We are happy our local fashion designers banked courtesy of the YAMAs’ dazzling outfits. The mileage attained from various social media channels cannot go unnoticed as many took to their accounts to acknowledge who dressed them, stylists et cetera. 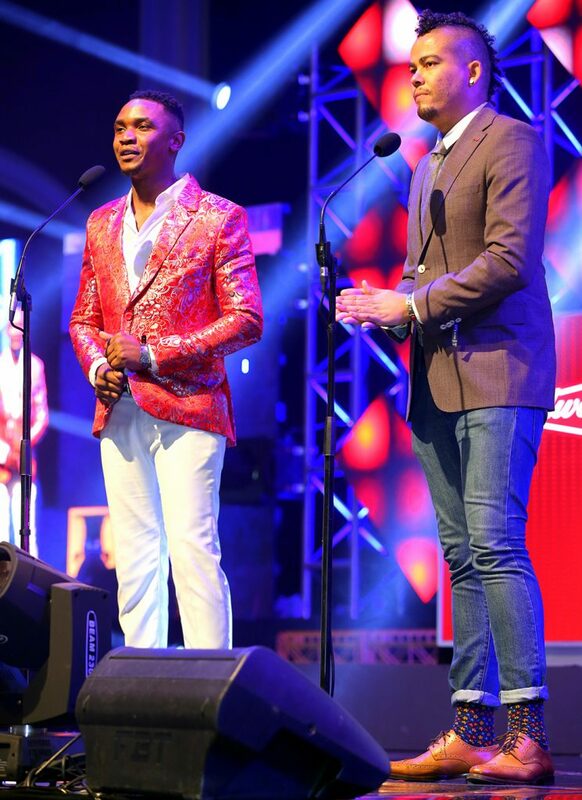 We all know that a lot of our city slickers follow the designs of Queen B’s decorated designer, Gert-Johan Coetzee, and judging from Saturday’s outfits surely they knew competition was on the cards, and they needed to show that indeed Batswana can truly rock as hard as other nations! Batswana always argue and complain that international acts who come into the county despite being paid loads of money seldom have interest in their local fans as in most cases they don’t share their coming into the country with their sundry followers (tweet or post in their social media accounts). All we can say is that times have now changed especially for brand influencers to do such postings randomly, for instance with her following of over 3.3 million on Twitter and 2.4 million o Instagram, her posting will always be tied to some monetary gain.Apparently she only tweeted 3 times about the YAMAs and she got paid for it separately from her MCing gig. It is alleged that the station paid only for two tweets and she donated one free of charge at an estimated P30 000 per tweet. 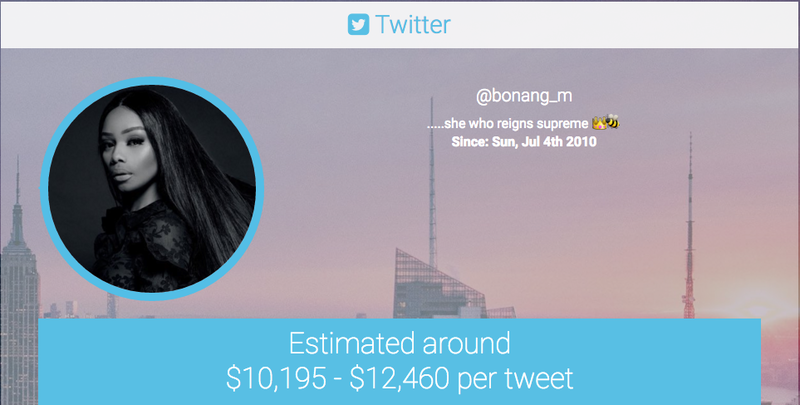 However her current market value per tweet is estimated at $10,195 – $12,460 (over P100K) per tweet, according to Webfluential. With the above, we can only hope our market and brands will start to understand the value of local media influencers and the potential they hold in escalating their brands to greater heights.